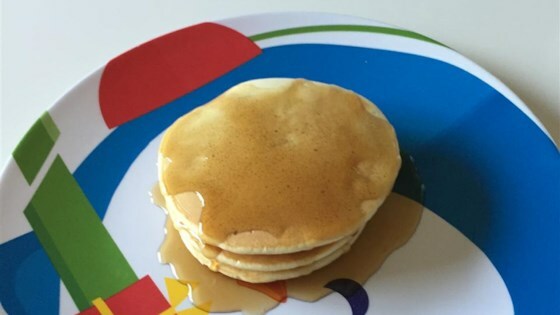 "Quick and easy pancakes that are mixed in your blender! Perfect for those mornings when you have to get breakfast on the table but don't have the time to make anything complicated." Place milk, sugar, eggs, oil and vanilla in the blender. Add flour and baking powder. Blend until smooth. Pancakes are too sweet for pancakes. They seem very rubbery - not a good texture. Didn't like them at all.